The teen years can be confusing and frustrating, especially for girls trying to develop their own voice and identity. 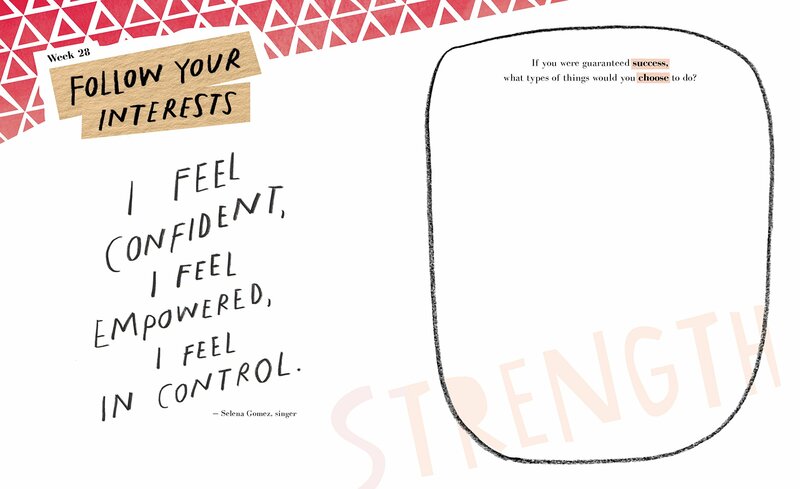 With the Create Your Me Movement, teen girls finally have a guided journal designed just for them. This collection of 52 weekly exercises and writing prompts guides you through recording your goals and standards, and determining ways to reach them. The guidance from author and teen advocate Patricia Wooster comes from four major categories: Play, Spirit, Strength, and Purpose. With these journaling assignments, you will take the principles behind starting a social movement—advocacy, patience, developing relationships, and managing time and resources—and apply them to your everyday life, fostering a sense of identity, confidence, and assurance in who you truly are. 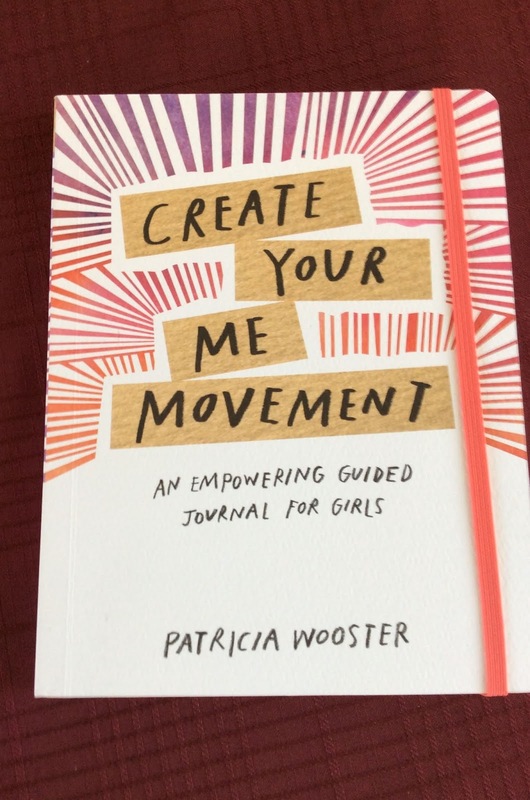 The perfect gift for the forward-thinking teen girl in your life, the Create Your Me Movement is an action-oriented tool dedicated to helping young women navigate their teen years and express themselves in a voice all their own. When I was younger, in my grade school and teen years, I'd write faithfully in journals. I still have them, tucked away in a cedar chest. From time to time I'll get the journals out and read them, reminiscing and remembering times past. I don't write daily in a journal anymore, but still jot down memories from time to time. 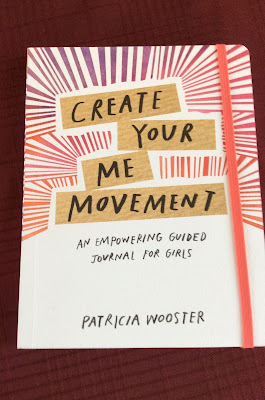 It's not exactly a blank journal, but the Create Your Me Movement: An Empowering Guided Journal for Girls is a guided journal with prompts and quotes. The goal of this journal is to inspire girls to develop their purpose, ignite their spirit, and encourage them to play. The journal includes weekly activities that ask you to identify your talents and personality traits. There are also quizzes included. Each weekly activity asks you to identify a beautiful thing and includes a Weekly #Hashtag. Your Weekly #Hashtag is your mantra or inspiring chant for the week. Each weeks' pages look the same. On the left is an inspiring or uplifting quote. On the right is a large circle with a prompt. For instance, you may be asked to create an official playlist of the songs that bring you joy or remind you of your childhood. Another example of a prompt is to write down when you've been told you couldn't achieve something but conquered it anyway. The journal prompts creative thinking and exploration of the talents and personalities that make us special. The journal pages are high-quality and the prompts are thought-provoking. There's an elastic band that keeps the journal closed. My 12 year old granddaughter, Rahjae, has written several times in this guided journal. She says she likes it better than traditional blank journal and that she'll keep it for a long time. Of course Rahjae won't let me see what's in her journal. But I'm glad to see her writing her thoughts and life experiences to reflect upon any time she wants and to progress forward in her goals. I received product for review from Quarto. The opinions within this post are of my own and I was not influenced in any way. Please do your own research before purchasing products or using services. Your opinions and results may differ. This seems like a wonderful journal to jot thoughts and dreams in.